Est.2009. The Green Easy is your premier marijuana dispensary in Los Angeles. 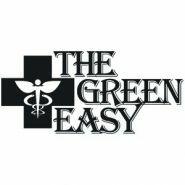 There are many dispensaries out there but none offer the service and quality medication that we have at The Green Easy. Our staff will work with you to get the best product to fit your needs. We have a large variety of products including edibles, concentrates, pre-rolls, vape cartridges, and the best quality marijuana available and we always make it our goal to provide the best customer service possible.